This is not a picture of a Falcon, I didn’t have any handy, so instead you can gaze upon the glorious prophecy, which is slightly appropriate. 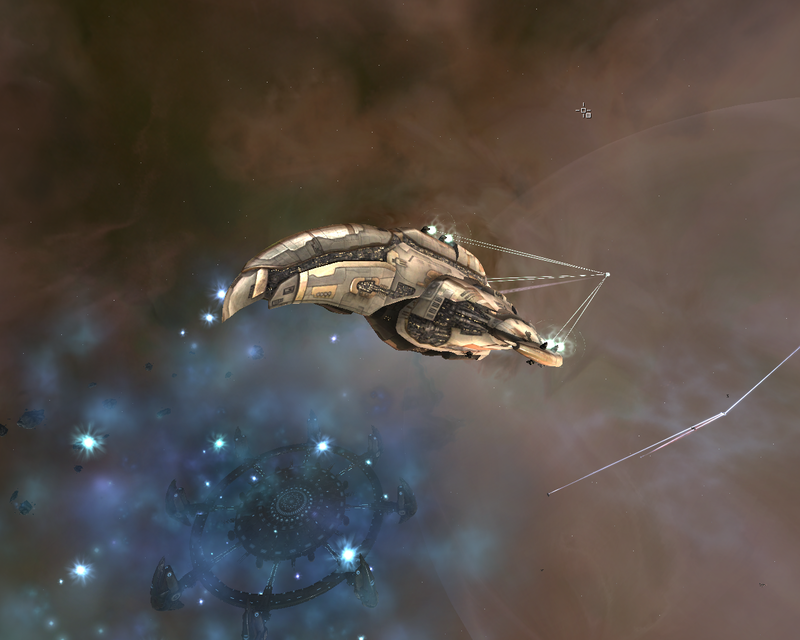 One of my predictions for EVE in 2009 has come true, ECM ships are changing. We all knew it was coming, it was just a matter of when, and what they would do to them. Not having flown ECM ships, I can’t appreciate the exact changes to each of the ships, but as someone who specialises in PVP combat, I can appreciate how the Falcon losing its dominance on the battlefield is a fairly massive change for PVP in EVE. This alone is a pretty big change to ECM, as ships will have to get much closer than they used to in order to have their jammer running at full effectiveness., which brings it into line with other similar forms of EW that drop into falloff range before 100k. “The falcon has been changed to be similar to the pilgrim in its role as a ECM brawler at shorter ranges. It has a bigger ECM strength bonus whilst losing its ECM optimal range bonus. In addition its agility and base velocity and have been increased to allow it to be more manoeuvrable at shorter ranges. The Falcon is now in a similar position to other cloaking recons, in that it loses range for the advantage of a covert ops cloak, that allows it to move, and even warp about while invisible. Combined with its long effective range, PVP, but small gang PVP in particular, in the last year has been dominated by one thought: “Is there a Falcon cloaked 100k off my fleet?”. “The rook operates at longer ranges, able to attack at distance and whilst having a weaker ECM strength but longer ECM range than the falcon can lay some real damage on its target gaining a heavy/heavy assault and standard missile velocity bonus in addition to a small drone bay for additional utility. The Rook now takes over the Falcon’s role as a long range ECM ship, but no covert ops cloak means that you will see them coming. It’s possible that it will become more common than the Falcon in the future, due to it’s range advantage. “We are looking at putting the scorpion into the short range brawler role. To that end we are looking at removing its ECM Optimal range bonus, increasing the ECM strength bonus a little and adding a cruise/siege launcher rate of fire bonus so it can get close and personal. Less of a pure ECM ship now, and more of a ECM/Combat ship, it’ll be interesting to see how this fares in Battleship fleet fights. The one thing that makes me happy about these changes is not the “Falcon Nerf”, but the fact that these changes stop the Falcon being the only ECM ship worth flying. The Rook now has a defined role, rather than being obsolete, and the Scorpion looks like it might be a match for other Battleships, when it isn’t fitting purely for ECM. « The New Regional Manager.